Fifty-three people were killed in a 72-hour span in Ciudad Juarez, Mexico, making it one of the deadliest three-day periods in recent memory, state attorney general's office spokesman Arturo Sandoval told CNN Sunday. Among the dead were four police officers from three different agencies, Sandoval said. "This is the worst violence we've seen this year," he said, referring to the three days from Thursday through Saturday. The bloodshed started on Thursday with 14 people killed, including a municipal police officer. Friday was the most violent day, leaving 20 people dead. A municipal police officer was killed by an assassin who belonged to a band of carjackers. Hours later, a state police investigator was executed on his drive home. On Saturday, a highway police officer was killed by a driver who confronted the patrolman after the officer gave him a ticket. The officer was shot 10 times at close range in the middle of the afternoon. In all, 19 people were killed that day in separate shootings throughout the city. Juarez is one of Mexico's deadliest cities and an epicenter of drug cartel violence. The Juarez cartel and the Sinaloa cartel are fighting a bloody turf war in the region for lucrative smuggling routes, and for drug-dealing territory in the city. The sudden spike in violence left the city morgue overwhelmed. There were issues with where to store the bodies. In light of the violence, Juarez Mayor Hector "Teto" Murguia is expected to name a new municipal police chief on Monday, local newspapers reported. Municipal police spokesman Adrian Sanchez told CNN he has read those reports, but that the police department has no official confirmation that a new chief will be appointed. "At this time we continue serving our current boss until we are given new orders," Sanchez said. In the first 40 days of 2011, Juarez is averaging eight homicides per day, Sandoval said. Also, in February, at least 24 women have been killed in 20 days. 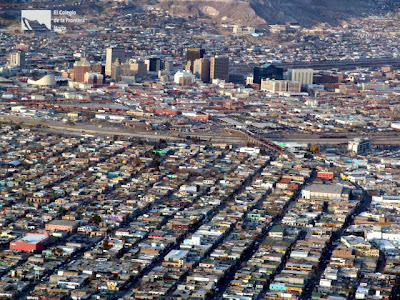 How many population is it in Ciudad Juarez? Is it one of the major cities in Mexico? The population in Auckland (NZL) stands approximately 1.8 millions. No good when lots of people died in Ciudad Juarez in a drug war, compare to other death issues such as gravely illness, accidents, etc?? Wonder if "La Linea" is getting pummeled. Organize, organize, organize you your family and immediate friends. Weapons choice AR15 AK47 and a high capacity pistol 9mm or larger. None of this is going to end well. Prepare to send them to hell where demon spawn belong. Be prepared for your own losses and have your personal account in order for your possible demise. What's so funny about that many pople dying? population is like all the other mexican number games...pick a number 1.3? 1.5? 2M? all of those have been reported to be the population. Many have left the city, all that could did. It is either the 4th or 5th largest city in Mexico, again pick a number. Even death tolls are not accurate and most likely the narco murders are many times higher. The deaths you talk of other thatn murders are not counted in these numbers, but Mexico plays with those numbers and often transfers narco murder to accidental or natural death toll. as for Juarez this 72 hours, the toll must be higher I have been posting the 53 all day. Have things changed? Last summer Juarez seemed to be on the ropes, constantly asking the police/government to intervene. I have cousins that live in Juarez, and they say that La Linea is really powerful there, and in Chihuahua!! Of course the juarez cartel/La linea are not leaving this city.The Juárez Cartel controls one of the primary transportation routes for billions of dollars worth of illegal drug shipments annually entering the United States from Mexico. They defend it till they die. Buela, thank you for the information for 7:19pm.